Nowadays, most consumer electronic devices support the HDMI (High Definition Multimedia Interface) output for video and image downloads. 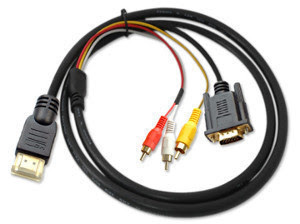 Before HDMI became popular in the electronic industry, RCA connectors (yellow, white, and red cables) were primarily used to connect DVD players, video game consoles, and set top boxes to televisions or monitors. A common issue for consumers is converting their HDMI devices to RCA cable inputs in order for them to play on older television sets or monitors. 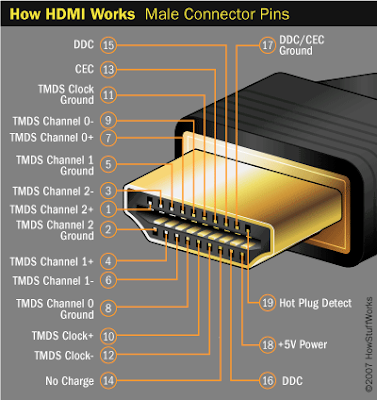 Step 1 – Search for an HDMI to RCA converter at a local electronics store or online. The output that the HDMI format will be converted to will determine the type of converter needed. The more complex converters will have outputs for S Video, Composite, as well as the classic RCA video and audio output cables from the device. Step 2 – Connect the video converter to a power source (such as a wall socket or power strip). Step 3 – Connect the HDMI cable from the device that only produces HDMI output to the HDMI input plug on the converter. Step 4 – Connect the Red and White audio cables to the RCA audio outputs on the converter then connect to the television. Step 5 – Connect the Yellow video cable from the video converter output to the tv’s video input. Step 6 – Change the television channel to the one that the converter requires (normally channel 3 or 4 for televisions that do not support the “input” function) or press the “Input” button on the remote control (if supported) to view the video from the device on the television. 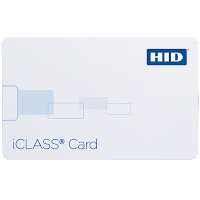 HID iCLASS Credentials offer iCLASS 13.56 MHz contactless read/write smart card technology along with the ability to add a magnetic stripe, barcode, and anti-counterfeiting features including custom artwork or a photo identification directly on the credential. 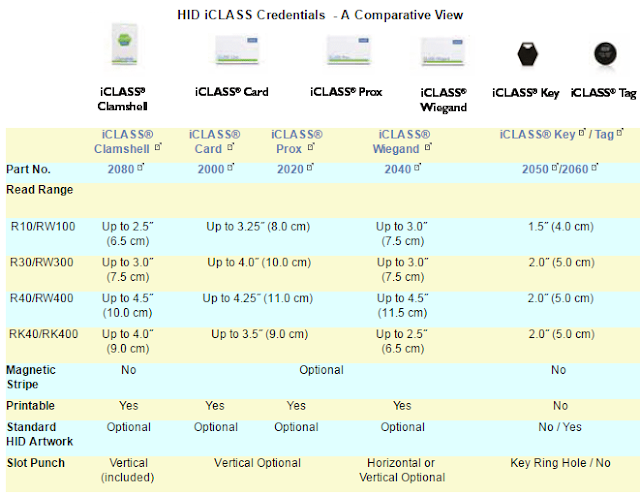 Below, we compare the read ranges and other select features of our most popular HID iClass contactless credentials, tags, and keyfobs. 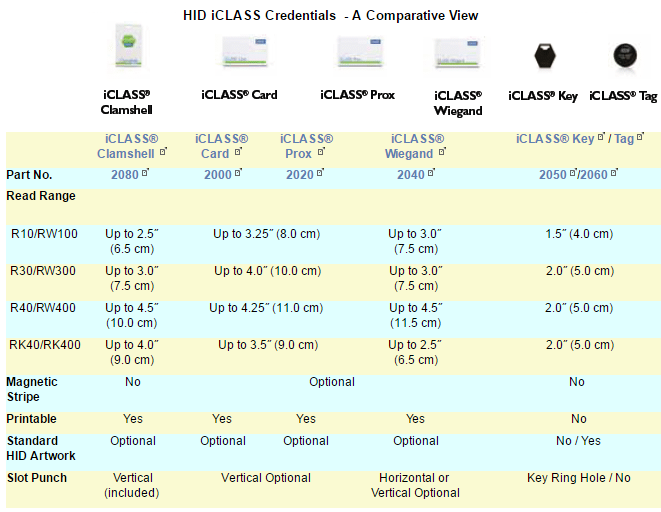 With so many variables, ordering HID iClass cards, tags and keyfobs can be a technical and confusing process. We're here to help - and we'll make it easy for you! Presently HID develop TAG. 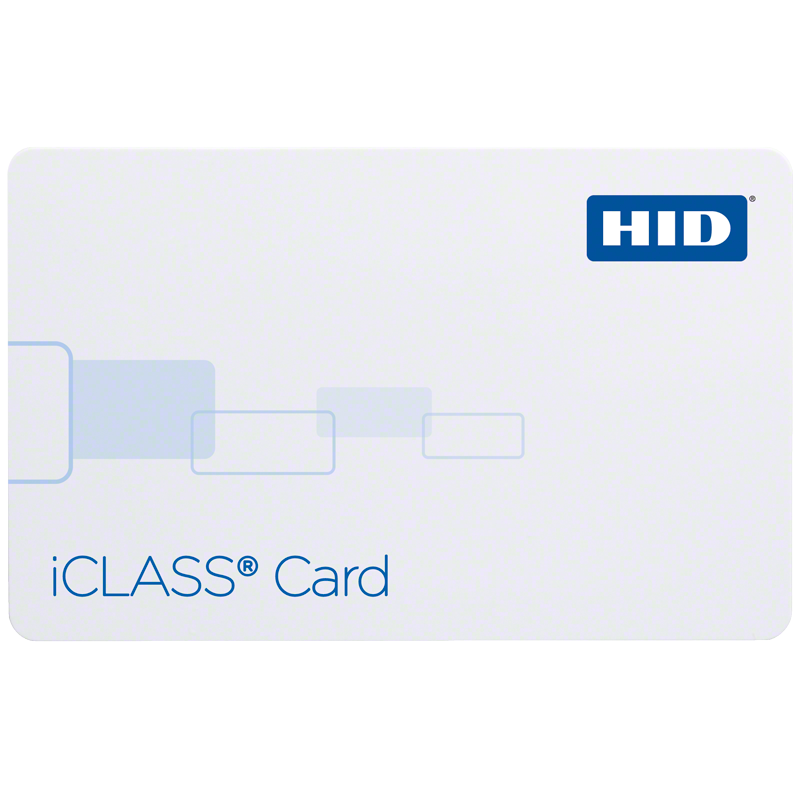 The HID iCLASS Tag can turn a plastic ID badge into an iCLASS contactless smart card credential. 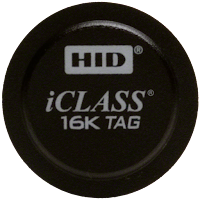 Effortlessly upgrade from Prox, mag stripe or barium ferrite technology to a smart card technology with more secure access control by simply attaching the small, circular iCLASS Tag to your existing card. 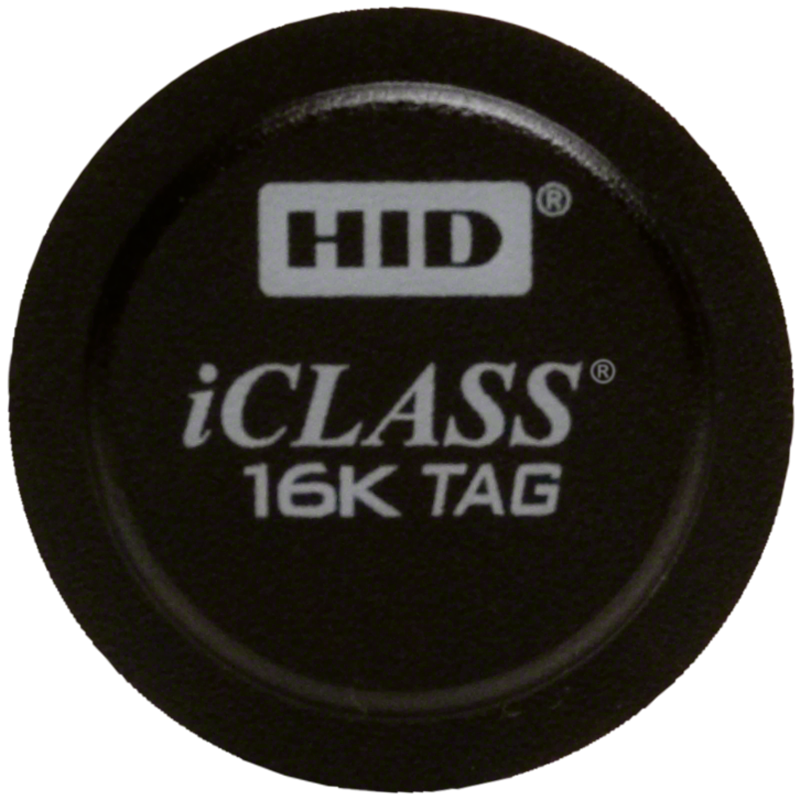 The iCLASS Tag will also adhere to any non-metallic device, such as a cell phone or PDA, to instantly create a contactless smart card. When organizations are considering the switch from analogue systems to network-based HD solutions, there's often the perception that bandwidth levels will increase significantly, as will the costs associated with expanding network and storage capabilities. While these concerns do have merit, the truth is that HD video surveillance need not take up as much bandwidth and storage space as you might expect, so long as the right tools are in place. When it comes down to managing a company’s network, IT professionals are generally cautious and strategic with how they allocate it. With only a modest percentage of the bandwidth usually reserved for video surveillance, the last thing an IT manager wants is video footage - particularly if it’s in HD - slowing down the entire network and taking up too much storage space. The perception of high-definition video surveillance by those new to using it, is that HD surveillance takes up too much bandwidth and storage space and that you will have to pay a lot of money to expand your network and storage capacity in order to accommodate it. But HD video surveillance does not take up as much bandwidth and storage space as you might expect. Especially with technology advancing, surveillance cameras and systems are getting smarter and more adaptable to a variety of network and storage circumstances. Here are four things you can do to your HD cameras and system right away to lower bandwidth usage. Getting familiar with your camera settings will allow you to maximize your image output without compromising storage space. Choose a compression format that best suits your needs. If you are looking to increase your storage, you may want to go with the h.264 compression format. 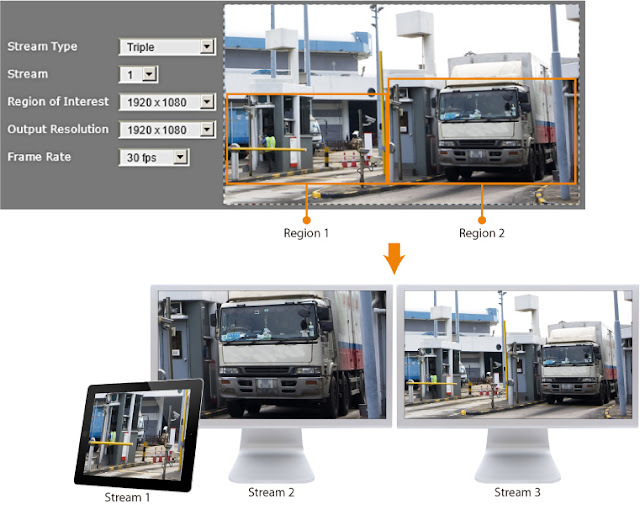 Most HD video surveillance users are partial to H.264 over M-JPEG because of the way the compression works. It doesn’t capture each frame as a separate entity like M-JPEG. The video stream is composed of a reference frame, called an Index (I) Frame, and then changing areas of the image in subsequent frames, called Partial (P) Frames. The end result is a collection of I Frames and P Frames in an ordered pattern that is configurable on most cameras (for example: 1 I Frame every 30 Frames). This results in less “full" images (I Frames) and using less bandwidth and storage space without sacrificing image detail. Pick the camera that provides the least resolution that you need to get the job done. Why choose a 2 MP, when a 1 MP can do the job? Higher resolution generally means more bandwidth, which requires more storage. 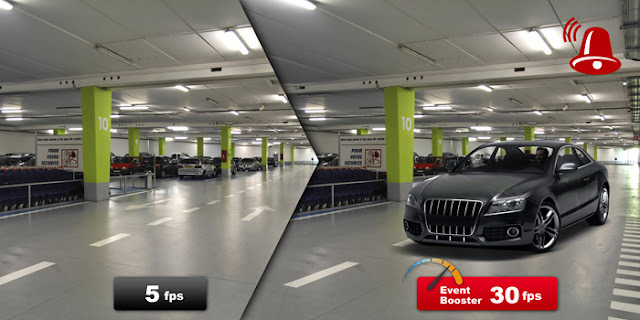 Obviously in a parking lot or areas where you are trying to cover a large area in high detail, a high megapixel camera is necessary. But if you are just monitoring a hallway or door, it makes sense to use an HD camera that can capture the detail you want at the lowest possible resolution. You are not shooting a movie, so there is no need to see 50 frames per second. Most people in the security industry use 5-7 frames per second, which in most cases, is going to show you everything you need to see evidence-wise and will be able to drop your bandwidth by a decent amount of megabits. Aside from adjusting camera settings to lower bandwidth, it is also a smart idea to configure your server to do event-based recordings. As an example, if you set up your servers to only record on motion events, then you will only capture footage whenever there is activity in the area that you are monitoring. The cameras are most likely always streaming to the server for live video, but with motion based recording they just wouldn’t be saving the data to the storage.